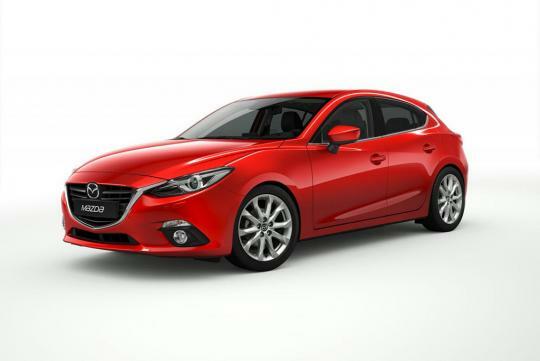 After all the spy photos, the guessing game has come to an end as Mazda unveils the 2014 Mazda3. 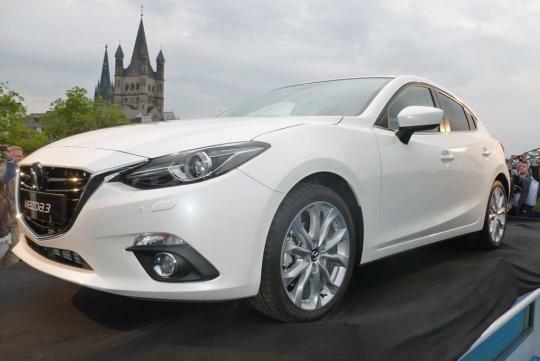 Sporting the brand's 'KODO' design language, the new "3" has a similar fascia as its bigger brother, the Mazda6. The bulging wheel arches, dual exhaust pipes and black insert at the rear bumper add an aggressive touch. 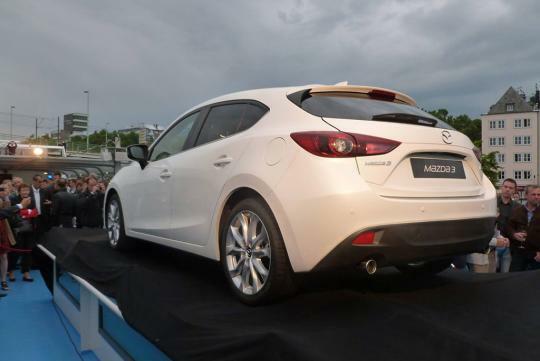 The Mazda3 hatchback measures 4,465mm by 1,795mm by 1,450mm (L x W x H) with a wheelbase that spans 2,700mm. This makes the car longer than class rivals such as the Toyota Auris, Ford Focus and VW Golf. A sedan version would be launched at a later date. 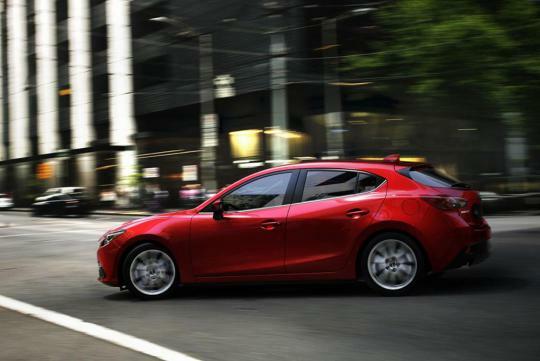 In the U.S., the new Mazda 3 is available with a 2.0-litre SKYACTIV-G that produces 155bhp and 203Nm of torque or a 2.5-litre SKYACTIV-G developing 184bhp and 250Nm of torque. Both models can be chosen with either a six-speed manual or six-speed automatic gearbox. 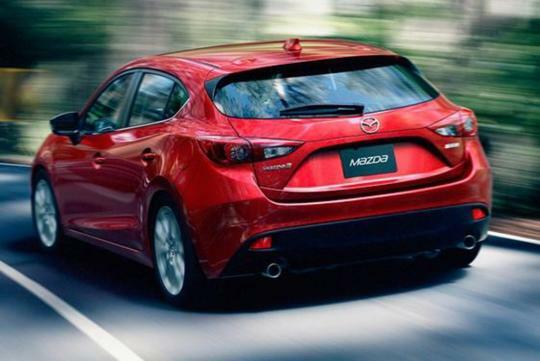 In other parts of the world, the new Mazda3 will be offered with an initial choice of three petrol engines and a diesel power plant. These include a 99bhp 1.5-litres petrol, two 2.0-litre petrol with 118bhp or 163bhp and the 148bhp 2.2-litre SKYACTIV-D. The 1.5-litre and higher-powered 2.0-litre units are only available with a six-speed manual transmission. 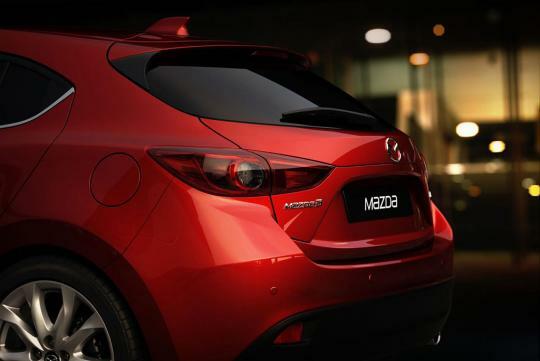 The Mazda3 has an array of safety systems which include High Beam Control, Blind Spot Monitoring, Lane Departure Warning System, Forward Obstruction Warning, Smart City Brake Support and Radar Cruise Control. Stopping power is provided by ventilated front and solid rear discs. The new model is supported by a MacPherson strut front suspension and a multi-link rear setup.